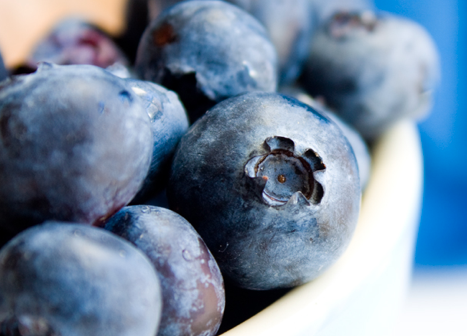 Blueberries and other foods w/ tons of polyphenols are GSH boosters (Moskaug. 2005) and make supplements obsolete. If you have been interested in dietary supplements for some time, I am pretty sure that you will have heard about oral glutathione ob(GSH) supplements in one of the "snake oil warnings" on various websites. The "master antioxidant" as it is called is after all believed by many to be not bioavailable - at least not orally. Studies in animal models, however, have already shown that oral GSH, administered either in the diet or by gavage, has the ability to increase plasma and tissue GSH levels ( Loven. 1986; Aw. 1991; Favilli. 1997; Kariya. 2007). It would thus be more appropriate to say that the efficacy of oral glutathione in humans has not yet been tested in peer-reviewed studies. Too Much "Vit C" For Gains? Now, the absence of human studies should definitely ring an alarm bell in the head of every healthily skeptic supplement user, what it should not do, though is mislead you to believe that GSH supplements don't work in human beings. Warning - keep an eye on your wallets: Even if the supplements work, they are probably going to be expensive and in view of the fact that "the increases were dose and time dependent, and levels returned to baseline after a 1-month washout period" (Richie. 2014), you will (a) have to take plenty to achieve maximal effects and (b) do that year-round. In view of the fact that we still don't have evidence of any downstream health benefits, I would thus be hesitant to recommend buying a GSH supplement at the moment - specifically if you are healthy, eat clean and work out! The main study outcomes were obviously analyses of the GSH levels in (a) blood, (b) erythrocytes, (c) plasma, (d) lymphocytes and (e) exfoliated buccal mucosal cells (the effects on a battery of immune markers was tested only in a handful of subjects). As the data in Figure 1 already suggests, there was a dose-dependent increase in GSH levels. With the high dose (1,000mg/day) producing GSH increases of 30–35 % in erythrocytes, plasma and lymphocytes and 260 % in buccal cells (P<0.05) and increases of 17 and 29 % in blood and erythrocytes, respectively, in the low-dose group (P<0.05 - data not shown in Figure 1). These improvements had beneficial downstream effects on the overall status of the subjects' antioxidant defense system. A fact you can conclude based on the decreased ratio of oxidized (used) to reduced (fresh) glutathione in whole blood the scientists observed in their subjects after 6 months. These benefits came hand in hand with an increase in natural killer cytotoxicity (+100%), another potentially highly desirable health benefit. Inflammatory cytokines won't build muscle. Without them, however, your body won't notice that it's time to adapt and w/ too much glutathione just that could happen. Bottom line: The fact that they obviously are bioavailable and have potent antioxidant and immune-strengthening effects make glutathione supplements particularly attractive for anyone who is suffering from chronic inflammation (obesity, diabetes, or both) and/or taking anti-inflammatory, but immune suppressive drugs (autoimmune diseases from simple allergies over asthma and rheumatism to multiple sclerosis). Whether you, the not-so-average SuppVersity reader will feel, let alone see any benefits from using these supplements is in my humble opinion highly questionable. And in case you've already forgotten about the Janus-faced effects the GSH-booster N-acetyl-cysteine will have on training induced muscle injury, cytokine expression and anabolic signalling, I'd suggest you take another look at an almost 12-months old follow-up to the SuppVersity Science Round-Up. Aw, Tak Yee, Grazyna Wierzbicka, and Dean P. Jones. "Oral glutathione increases tissue glutathione in vivo." Chemico-biological interactions 80.1 (1991): 89-97. Favilli, Fabio, et al. "Effect of orally administered glutathione on glutathione levels in some organs of rats: role of specific transporters." British journal of nutrition 78.02 (1997): 293-300. Kariya, Chirag, et al. "A role for CFTR in the elevation of glutathione levels in the lung by oral glutathione administration." American Journal of Physiology-Lung Cellular and Molecular Physiology 37.6 (2007): L1590. Loven, Dean, et al. "Effect of insulin and oral glutathione on glutathione levels and superoxide dismutase activities in organs of rats with streptozocin-induced diabetes." Diabetes 35.5 (1986): 503-507. Moskaug, Jan Ø., et al. "Polyphenols and glutathione synthesis regulation." The American journal of clinical nutrition 81.1 (2005): 277S-283S. Richie Jr, John P., et al. "Randomized controlled trial of oral glutathione supplementation on body stores of glutathione." European journal of nutrition (2014): 1-13.